The Phrom Phong-Thonglor area never sleeps. Where thriving commerce meets à la mode urban lifestyle, the route buzzes with the latest lifestyle and cultural happenings — offering locals and visitors alike endless inspiration and new ideas. Embracing the creative vibe of its location, luxury condominium Beatniq is a cutting-edge addition to the coveted area of prime real estate, with a refreshingly new approach to upscale living—one that is artful, bold and unabashedly unique. Surrounded by chic restaurants and bars, an array of fashionable lifestyle outlets and, of course, The EM District, Beatniq puts you at the heart of a neighbourhood that buzzes with the tantilising promise of exciting things to come. The name alone is a testament in itself, a clever blend of the terms ‘unique’ and ‘beatnik’. Like the nonconforming beatniks from Jack Kerouac’s ‘Beat Generation’ of America in the 50-60s, Beatniq provides a space that inspires unrestrained creativity and a dare-to-be-different approach to life. Inspired by modern architectural styles of the mid-20th century, Beatniq seamlessly weaves contemporary art with elegance and sophistication. Expect the finest materials, unique craftsmanship and a magnificent facade interplayed with steel and glass surfaces. The luxury residence shines through a striking aesthetic, attentive consideration of the finer details, and a “form follows function” approach. 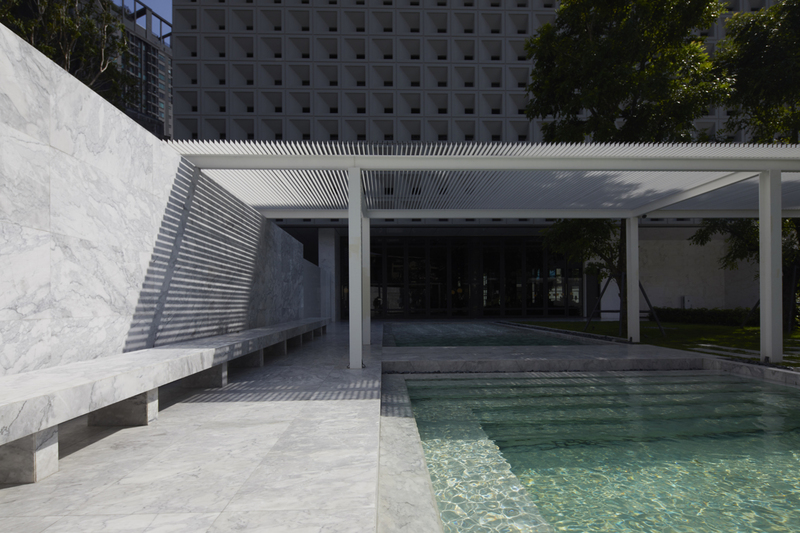 For instance, the grill and fin aluminum design draws the eye with vertical lines while simultaneously defending against strong winds, and the aesthetically impressive geometric cement also serves as shade. 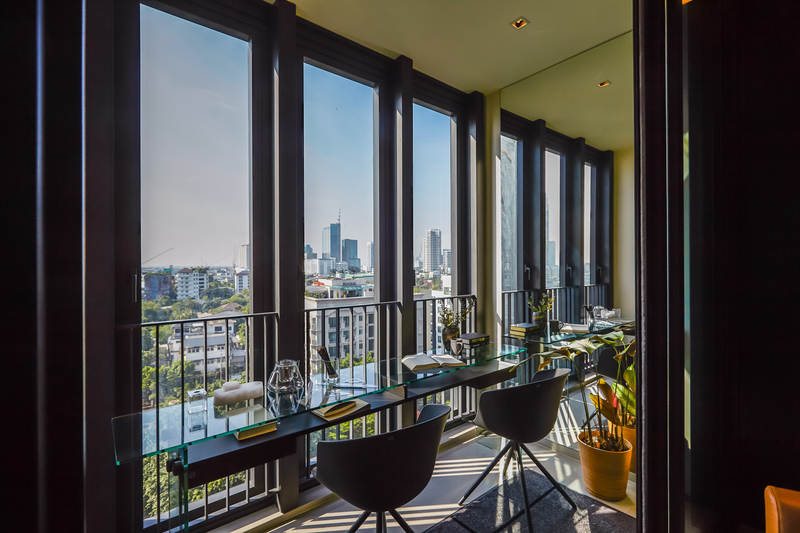 Inside the units, expansive interiors, double-volume designs and floor-to-ceiling windows offer unobstructed front-row views of the Bangkok metropolis, whilst elements such as imported Italian marble and a home automation system add a touch of contemporary refinement. Beatniq comes with 34 floors and one basement, totalling 197 units. The units range from one to three bedrooms, as well as a penthouse on the top floor. Some of the more special units come equipped with a semi-outdoor balcony/living room—you can opt to enjoy the outdoor breeze or have additional indoor space through simply opening or closing the window. Only 250 metres away from Thong Lo BTS station, on the peaceful side of Sukhumvit, Beatniq puts you in the center of it all while offering room to breathe. The residence places importance on facilities designed to fulfill the needs of city dwellers. The landscaped ground floor welcomes you with dipping pools and open green spaces, while the multi-use exclusive lounge comes complete with a library and meeting rooms so you don’t have to stray far for a productive environment. The fully equipped fitness provides an ideal spot to keep your fitness amp up your fitness game. 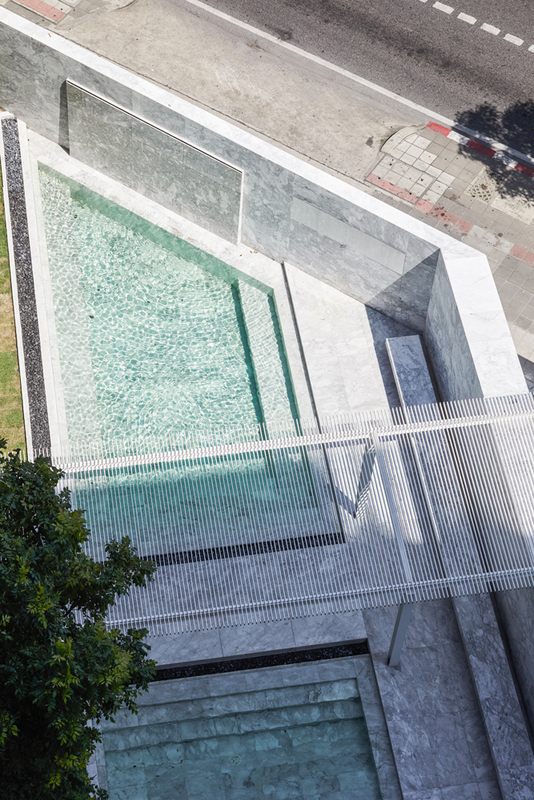 There’s also a semi-outdoor heated spa pool, offering a chance to rest and recuperate amongst the clouds. 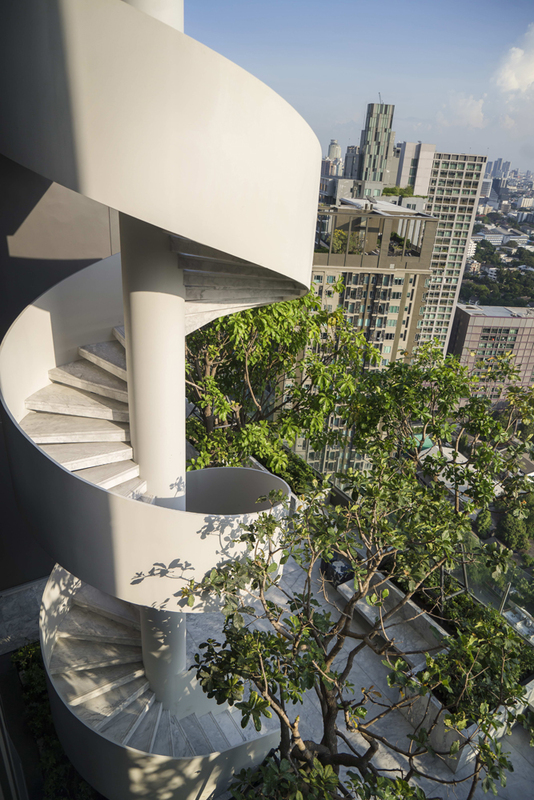 Perhaps one of the most compelling features of the building is the spiral staircase, which connects the Landscape Sky Garden—complete with design motifs from the 50s—with the penthouse residential area in a graceful swivel. 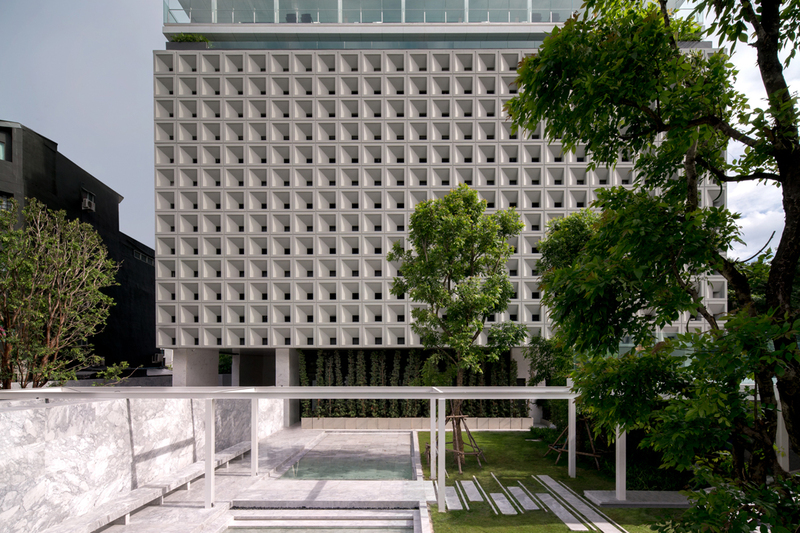 Beautifully designed with top-notch facilities and an optimum location, Beatniq appeals to the passionate and creative who frequent the upscale Phrom Phong-Thonglor hood. Maybe you believe in shaking off all limitations and daring to do you, or maybe you just appreciate art and creative expression. Either way, Beatniq is the ideal home for those who love the vibrant, happening vibe of Sukhumvit 32. Units are available freehold, offering a rare opportunity to truly be a part of the dynamic community. To find out more on how Beatniq is redefining the luxury residence scene, visit www.beatniq32.com.